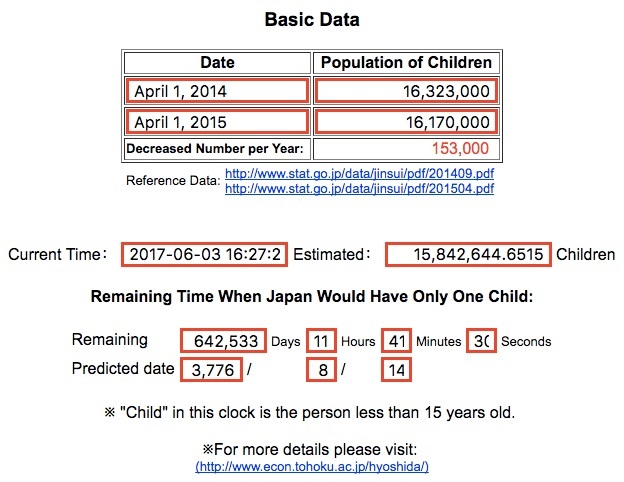 As of yesterday afternoon, there were 15.84 million children in Japan. According to researchers at a Japanese university, in 3776, there might be just one. Where are we going? To the fiscal impact of fewer babies and more older people. 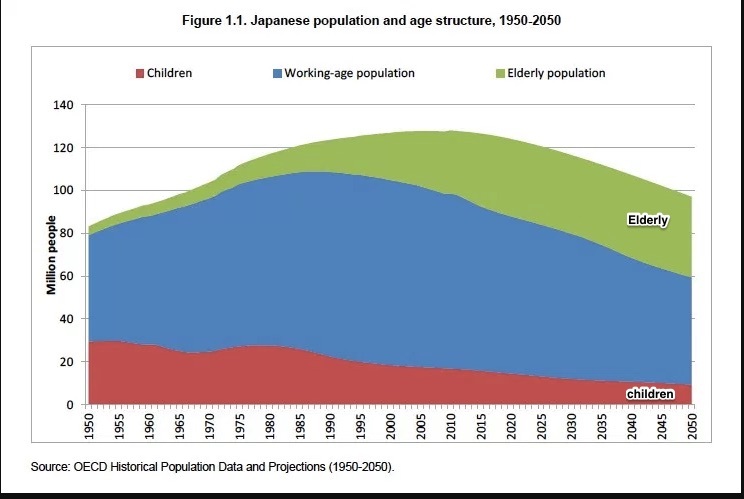 That flip between the young and the old takes us to Japan’s population. 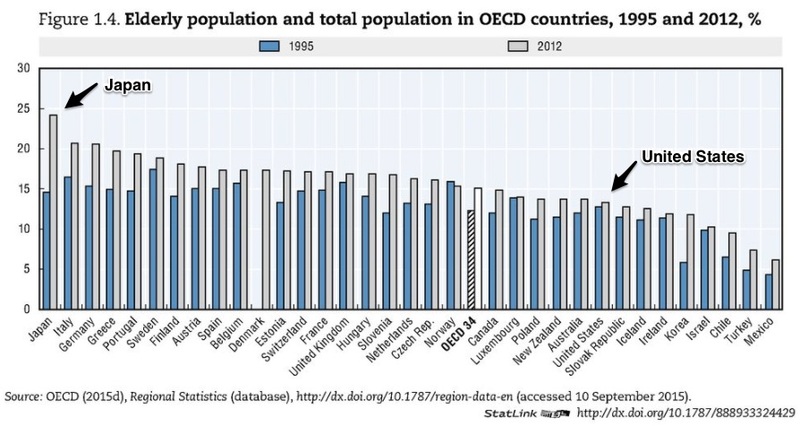 For the first time since 1899 (when they started recording data), the number of births in Japan is below one million. Combine fewer babies with more deaths and you get a shrinking population. So, although most of us don’t face Japan’s doomsday projection, we have similar fiscal concerns. 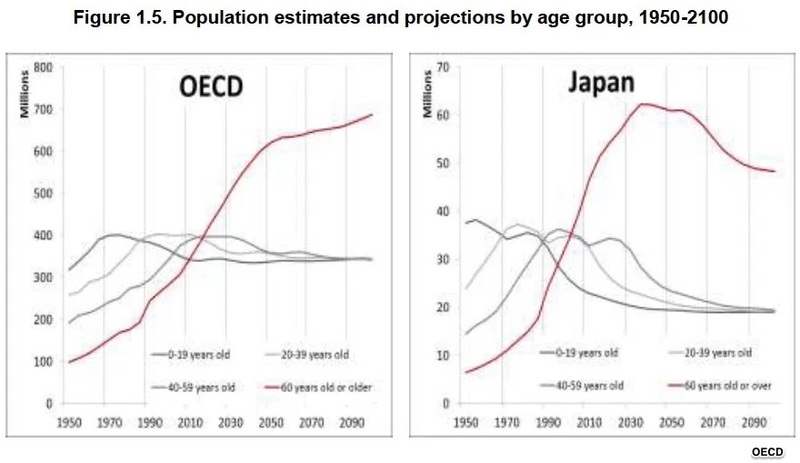 My sources and more: While the NY Times and Bloomberg provided a good overview of Japan’s population problems, this OECD report was the perfect academic complement. To improve clarity, this post was slightly edited after publication.